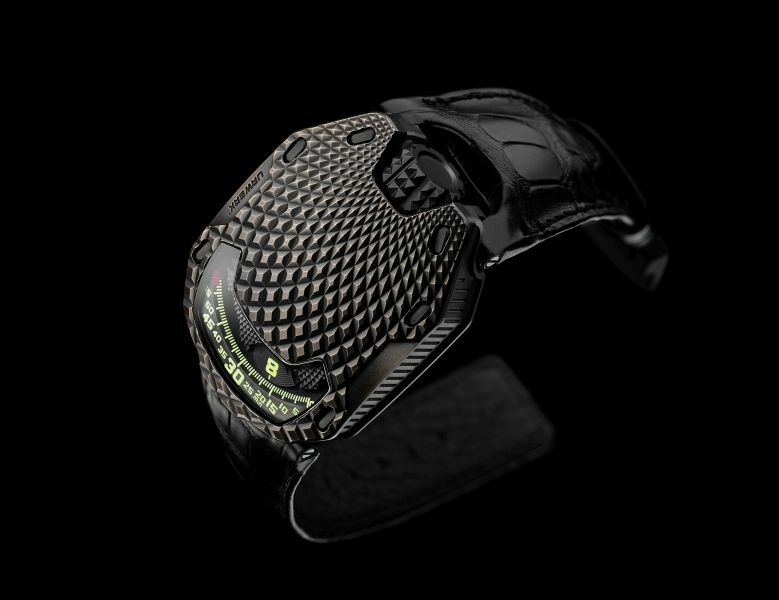 The company’s signature satellite time display system finds a new home named for the case that evokes the scaly hide of the prehistoric lizard. Four satellite arms hold three hour numerals each which trace the arc along the minute track, mirroring the passage of the sun across the sky over the course of a day. Self-winding movement with 48 hours’ power reserve, hand-patinated bronze case with caseback in titanium. 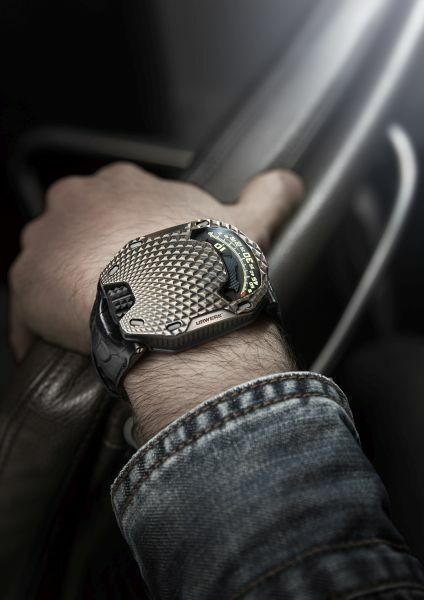 A departure from the masculine styling of its past watches, the Lotus is URWERK’s first watch made specifically for women. 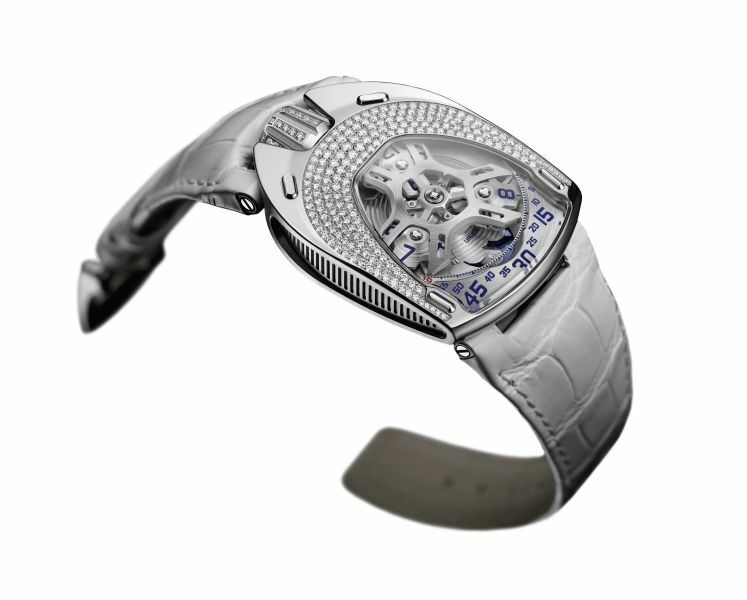 It’s slender, graceful, and comes in two versions: titanium and steel with diamonds, and another with black PVD coating. 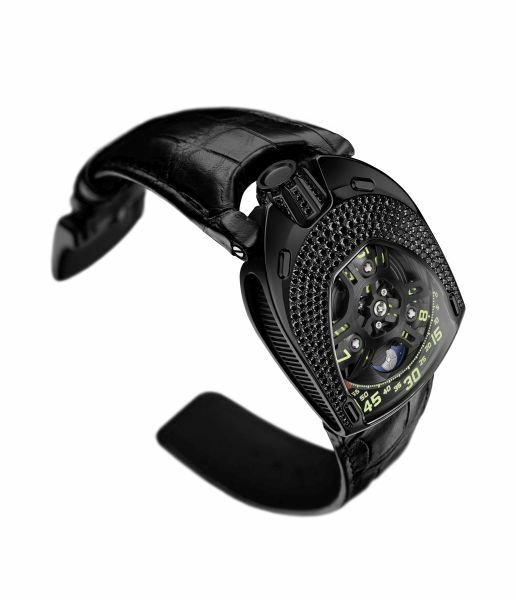 Self-winding movement with moon phases and 48 hours’ power reserve; both variants limited to 11 pieces each.